A look at the figures of the damage and recovery effort tied to the 2010 oil spill in the Gulf of Mexico. On April 20, 2010, the explosion on the Deepwater Horizon drilling rig in the Gulf of Mexico led to the largest accidental release of oil into marine waters in history. On Nov. 15, 2012, BP, the British company that operated the rig, announced it will pay $1.3 billion in criminal fines, the largest such penalty ever, as part of a $4.5 billion US settlement with the U.S. government. At the time of the explosion, BP was using the rig to drill an exploratory well in the Macondo field, 66 kilometres from the Louisiana coast. Eleven workers on the rig died, 17 were injured. Two days later, on Earth Day, the rig sank. The leak was finally capped on July 15. In September 2010, the official in charge of the spill response, retired U.S. Coast Guard admiral Thad Allen, said, "We can now state definitively that the Macondo well poses no continuing threat to the Gulf of Mexico." 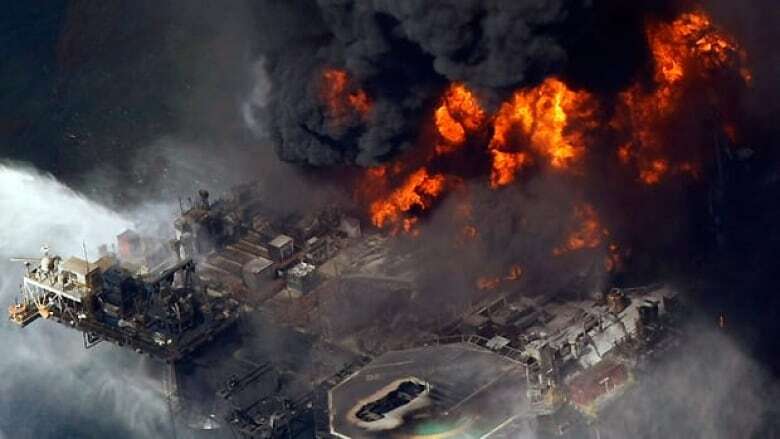 An Associated Press report on Nov. 15, 2012, suggested that two BP employees may be brought up on manslaughter charges in connection with the deaths of the 11 workers. The National Oil Spill Commission reported that "roughly five million barrels of oil were released by the Macondo well." That amount is equivalent to about half of the crude oil the U.S. imports in a day and worth about $400 million. In its final report, released Jan. 11, 2011, the commission found that cost-cutting measures by BP, in conjunction with partners Halliburton and Transocean, helped trigger the rupture and subsequent leak. About 1,070 kilometres of Gulf of Mexico coastline were contaminated by the oil. The area closed to fishing reached a peak 225,290 square kilometres. That was the 18th expansion of the closure area of Gulf of Mexico federal waters, about 36 per cent of the total area. 3,474 kilometres of containment and absorbent boom were deployed against the spreading oil slick as of Aug. 2, 2010. 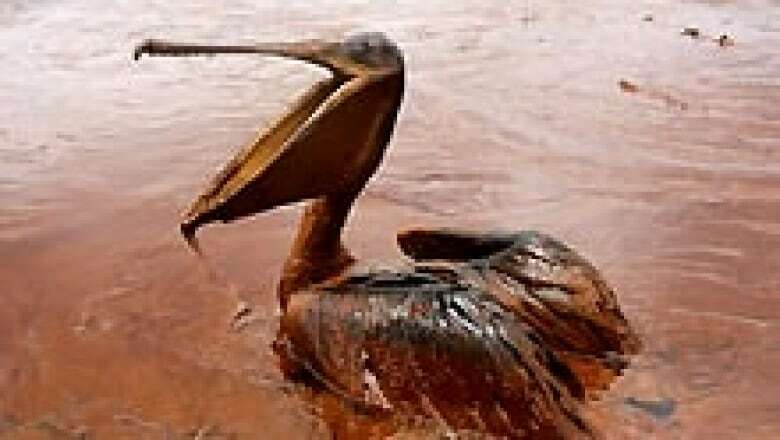 The latest report from the oil spill's Unified Area Command shows that 2,080 oiled birds were collected alive. About 1,245 of those birds have been released. 6,104 dead birds were also collected. 535 sea turtles were collected alive, 397 released. 609 dead turtles have been collected. 278 sea turtle nests were transported. Thirty per cent of U.S. oil production comes from the Gulf of Mexico. Oil production in the Gulf increased 34 per cent in 2009. The Gulf oil and gas industry employs 107,000 people. By comparison, the area's tourism industry, which was devastated by the spill, employs 524,000.